Blackened blades greatly reduce the reflective properties of knives-an important consideration in many high-risk environments. 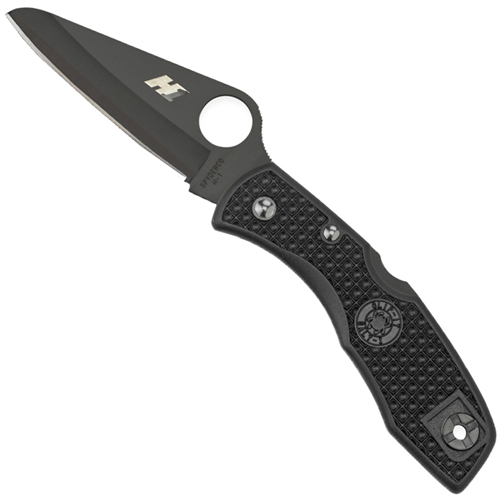 The black-bladed Salt 1 models cloak the blade and lock bar in a durable titanium carbonitride (TiCN) coating. Ideal for tactical applications, this low-profile tool is available with either a plain or spyder edge blade. 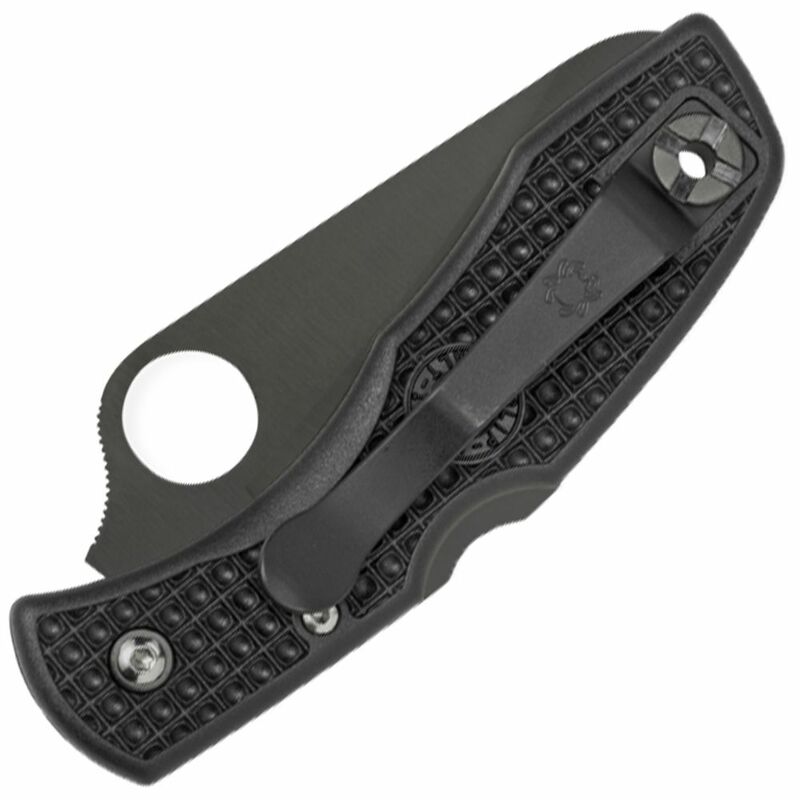 This is roughly the same size as a Delica but because it does not have stainless steel liners on the inside, it comes in at a much lower weight.